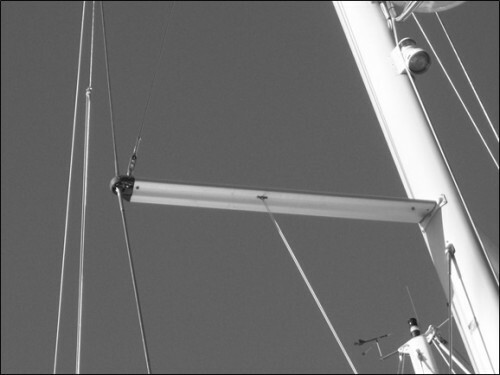 Sailboat rigging is simple in concept once you have a basic understanding. There are several parts which all work together to support a mast and sails. To make sure that your rig stays in one piece there are a few things you should know. 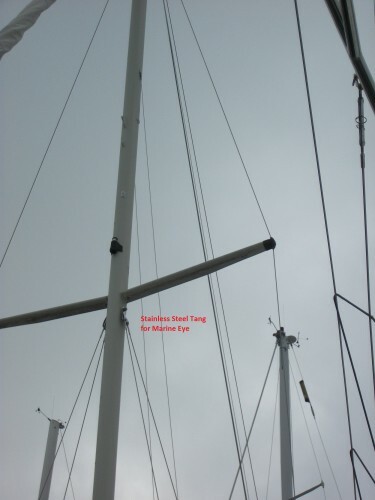 Most mast failures occur from a simple loose cotter pin, frayed shroud or a cracked fitting. In this article we will be looking at Swaged Rigging Terminals, to help you understand what you may have and what other options are available. 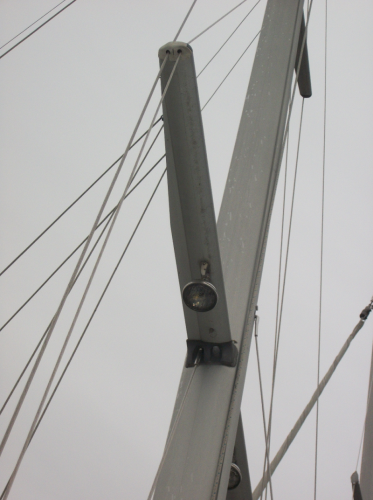 Most sailboats rely on swage fittings at the terminals of wire shrouds. Swaging is the compression of the fitting onto the end of a wire by a roll swage machine. Therefore unless you have access to a swage machine you have to get a professional rigger to make them for you. Swaging is different from Nicopress Type Swages which is the compression of a wire thimble over a wire to form an eye. There are other wire terminals, swageless mechanical terminals, such as Noresman and Sta-Lok rigging terminals. These fittings can be installed by the DIY boat owner without any specialized tools. We will look at these in another section in this sailboat rigging series. Wire Terminals are normally made from Type 316 stainless steel. These are the most common rigging terminals on sailboats. There are lots of sailboats with this setup of wire rigging with Marine eye ends attached to a stainless steel tang. Tangs are through bolted through the mast from one side to the other with compression tubes so the tightening won’t crush the mast wall. 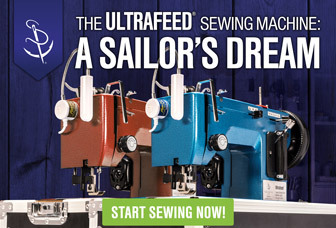 Now all you need to make is a set of wire shrouds with a marine eye at the top end. As well as Marine eyes and forks there are Aircraft eyes and forks. These are thinner than Marine eyes and often used for lifelines. The picture above shows a simple single spreader rig, using Swaged Marine Eye’s with through bolted Tangs. The tang and eye fittings are the most popular seen on sailboats especially older ones. They are easy to make and inspect for maintenance. They can easily be made by a DIY boat Owner. Tangs can be bought from retail stores or specialized sellers like Rig Rite. Left is a Masthead Tang for marine Eye. The cast spreader base with integral shroud attachments were popular in the late 80’s and later. They proved to be quick and cheap to manufacture. However the problem with these mast fittings is the weakness in the spreader castings that attach to the mast. When these fail the whole mast is at risk, so it becomes a one point failure. The Stemball seats in a Cupel which sits in one of the two cutouts in the spreader base. Notice the T Ball terminal just in front of the spreader. A spreader through bar is a more modern use of spreaders and stemballs. The stemballs are fitted into a spreader bar which makes the Spreader bars structurally very secure. They take the load from the Spreaders and transfer through the mast without putting undue pressure on the mast wall. This is probably the strongest mast spreader shroud combination. It does require very accurate machining and needs professional Mast makers and Riggers to manufacture. This solution is more expensive but the lightest and is used mostly on racing sailboats. The above picture shows a rig with a Spreader through bar in which the Stemball is secured. The through bar has a hole for Stemball and Cupel. The second hole is for the Spreader Clevis pin. When assembling this type of set up you need to install the spreader through bar, push the shroud through the hole and then install the spreader over the bar and secure with the clevis pin. To remove the shrouds you need to remove the spreaders. More modern thinking using Stemball fittings for larger cruising boats. The Stemball Tang is fitted into the mast wall below the spreader. This approach is a little easier to build as the precise position of the shroud is not so important. However it not as structurally secure as the shroud is relying on the mast wall to transfer the load to the spreader, but can be built without specialized equipment or machining. Because the design is not as strong as the through bar solution the fittings and mast wall are larger and therefore heavier, but this is not a concern for most cruisers. The Stemball fits into a Stemball Tang which mounts in a cutout in the mast Wall. In this case the wire fitting is inserted into the tang and then the complete assembly is pushed into the cutout. The tang is then screwed or riveted into place. The shroud cannot be removed without the tang also being removed. In the above picture the shrouds are discontinuous. The uppers and intermediates are terminated at the spreader. The upper shrouds join at the spreader tip with a Marine Eye and Fork and a Long Clevis pin. The diagonal shroud has a swaged turnbuckle and Fork. Swaged shroud T terminal, sometimes called round T ball Terminals and even LollyPop’s. With the backing plate installed in the mast wall the round T ball is inserted into the mast plate at 90 degrees and then the wire and T ball is rotated inline. The black plug is inserted to secure the shroud in place. These are the easiest shroud fittings to install. However they are not quite as strong as some others. The weak point is the curved bearing point. However convenience is a big factor in using these fittings. Gibb T ball terminals are the first of this type. Now there are other T ball terminals like the Navtec ones seen below. T Terminals can be removed just by removing the plug and turning the shroud through 90 degrees. Navtec style T Ball terminal are newer and better for larger sailboats as the designs have bigger backing plates and the T Ball sits closer to the mast wall and not inside as with the Gibb Terminals. T Ball Terminals can be removed without removing the backing plate. The shroud is turned through 90 degrees so the T ball can be removed. There is a rubber plug that is inserted after the T ball has been installed so that the T ball cannot accidently fall out. 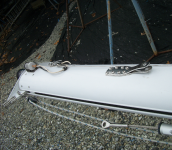 Whatever the fittings you have at the mast or spreaders the bottom ends depend on the chainplates fitted to the deck and turnbuckle you will use. When setting up the turnbuckle it should be 2/3 open. That way you have enough room to tighten and half the amount to loosen when tuning the rig. This 2/3 open is an Industry standard and is you need a replacement shroud the rigger will set up the turnbuckle 2/3 open to the length you prescribe. 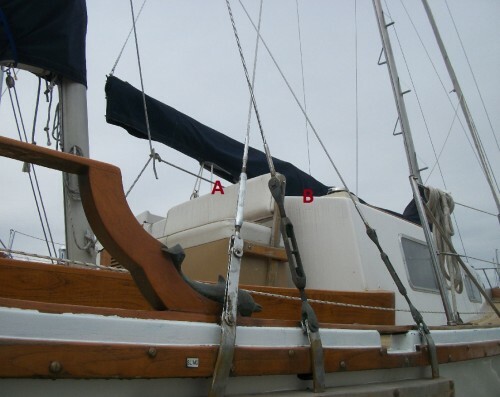 The image below shows a boat with two examples of turnbuckle attachments. The chainplates seen are typical straps of stainless steel. Either on the side or through the deck. Turnbuckles to fit these chainplate should have a toggled bottom. This is important so the toggle can align with the line and load of the shroud. Without a toggle at the bottom end the turnbuckle bottom thread can bend drastically reducing strength. A Swaged threaded turnbuckle; this open turnbuckle body has a toggle at one end and a swaged stud at the other. The stud is swaged to your wire and is the recommended solution in this case. The fixed eye Turnbuckle on the other shrouds are prone to bending as they do not have toggles. The issue with this fixed jaw Turnbuckle is that there is no toggle. 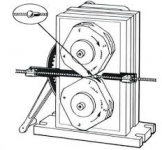 If the chainplate is not aligned up properly with the direction of the wire than the threaded part of the Turnbuckle (i.e. weakest link) can bend. Also as the rig moves in relation to the boat there is no give. A toggle lets the turnbuckle properly align at all times with the wire. Now you understand the various Rigging Fittings what can we do to maintain then and how long should they last. To be continued.